In an exclusive interaction with Shraddha Suri Marwah, Managing Director, Subros, and her team, by H. S. Billimoria, CEO, Next Gen Publishing, and Ashish Bhatia, Sr. 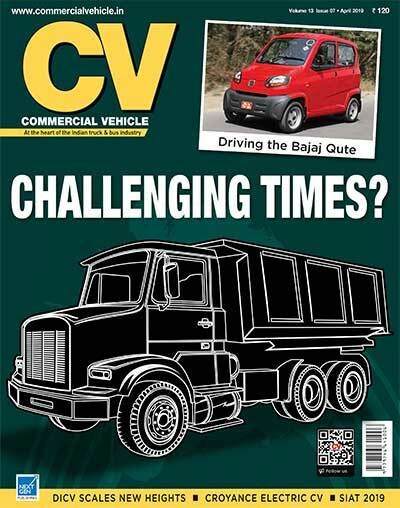 Correspondent, CV magazine, it was revealed that they have developed thermal solutions for Cvs. Established in 1985 as a joint venture company with the Suri Group holding a 40 per cent stake, Denso Corporation and Suzuki Motor Corporation holding a 13 per cent stake each, Subros Ltd., has developed thermal solutions for commercial vehicles. These include air-conditioning compressors, condensers, evaporators, heat exchangers and various other bits that make a HVAC system in an automobile. Finding use in CVs manufactured by Tata Motors, Ashok Leyland, SML Isuzu, Force Motors and Daimler India Commercial Vehicles, the thermal solutions the company is providing are eliciting good demand. With the count of professional fleets going up in India, the demand for fully-built CVs with an air-conditioning system is rising. It is, in the process, triggering a shift from economy CVs to value CVs. With the government mandating the fitting of a blower unit in CVs with a GVW of 3.5-tonnes and above, the Thermal systems market for CVs is opening up in India. With the AC bus and reefer truck market experiencing strong demand – the market for AC bus is estimated to be between 15,000 and 20,0000 units per annum, and for reefer truck is estimated to be 3,000 units, Subros is finding itself in an advantageous position. Announcing the decision to enter the automotive Thermal market as a risky proposition in 1985, and seemed futuristic and way ahead of its time, Shraddha Suri Marwah, Managing Director, Subros Ltd., averred that in the CV business they are keen to replicate the success they have achieved in the passenger vehicle business. Starting with an initial capacity of 50,000 units per annum in 1985 after obtaining necessary licenses and approvals, Subros entered the passenger vehicle market where 95 per cent of the vehicles sold were non-air-conditioned. Today almost every passenger vehicle that rolls out of the assembly line is fitted with an air-conditioner. In-line the transformation the Indian passenger vehicles have undergone, the company has come to have a 1.5 million units capacity. Commanding a 40 per cent market share of the passenger vehicle HVAC market in India, Subros is confident of making it big in the CV space. Leveraging the experience of building thermal systems for passenger vehicles at one end, and for locomotives (to Indian Railways, Medha Group and Bombardier Transportation) at the other. Keen to get a frontrunner advantage in the Indian CV market, Subros is confident of finding a stronghold in the CV space. Expressed Marwah, “We see the passenger vehicle trend replicating itself in the commercial vehicle space in India.” Mentioning that the mandate to fit a blower unit is creating a strong pull, she stressed that 95 per cent of CVs were not fitted with an air-conditioner in 2017. With the processes in the CV space the same as in the passenger vehicle space, and the product too similar to that in the passenger vehicle space from a thermal engineering point of view, Subros is supplying blower units to CV makers since the third quarter of FY2017-18. The company is claimed to have secured a 70 per cent market share in this segment. Quipped Marwah that they have a distinct advantage of having an efficient infrastructure at their disposal. “We can quickly and promptly respond to the market requirement,” she said. In the long-term, the company is looking at the CV market contributing 25 per cent of the business. The rest would come from the passenger vehicle business. The current contribution of the CV business is in the region of 10 to 15 per cent. Aware of a large number of players eyeing the AC bus market, which is estimated to grow at a CAGR of 20 to 25 per cent in the next three to four years, Subros is keen to secure business from State Transport Undertakings (STUs). Most of them are expanding their AC bus fleet. Stating that the preference for AC buses is rising, Marwah mentioned, “The demand may be at a nascent stage today, we expect it to rise significantly.” Bullish about road infrastructure growth creating a demand for AC CVs, Marwah opined that they are looking at an opportunity in both, short-haul and long-haul buses. Subros is also paying close attention to the off-highway CV segments. Rather than limit itself to trucks and buses, it is keen to carve out a large pie of the growing AC market for construction and earth moving equipment. It is the well-being and safety of such equipment operators that is driving the AC market informed Marwah. She averred, “Awareness for AC cabins is rising, and is being linked to higher return on investments.” Stating that they have a strategy in place to cater to the construction and earthmoving equipment market, Marwah expressed that the aspiration for an AC cabin in the agricultural equipment sector is driven by factors like health, comfort and work environment. “Mobile farmer segment is on our radar,” she quipped. Looking at rising mechanisation and the growing need for comfort, Subros is well aware that cooling is a key to the driver’s ability to perform his duties for a longer stretch of time. Banking on the rapid globalisation of the food industry, Subros is keen to carve out a larger share of the cold chain logistics segment too. Influenced broadly by trade patterns and costs, the company is looking at stringent government regulations and improvement in crop realisation to create a pull for reefer trucks. “We are ready to serve the needs of this segment. We are providing turnkey solutions for both, the cabin and superstructure,” averred Marwah. 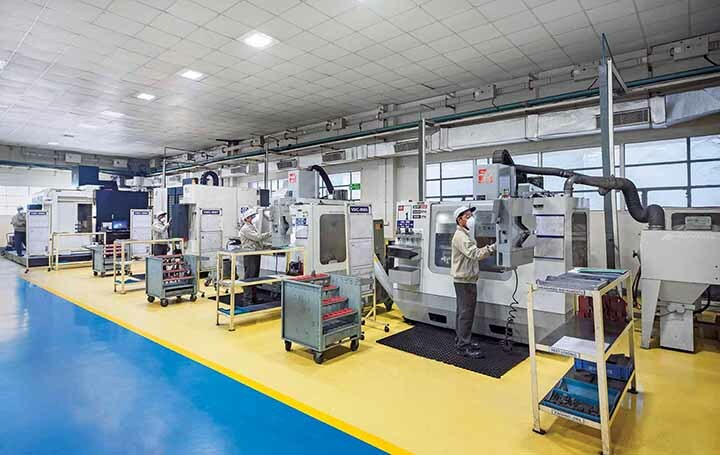 Happy about the support from Denso as a technology partner, Subros, with seven manufacturing plants in India and an engineering centre the was jointly developed by it and Denso in 2012, is working closely with its customers. Executing expansion plans in-line with the customer growth plans, the company will commission a new facility in Gujarat next year. It will add 0.5 million units capacity to the company’s existing capacity of 1.5 million units. “The decision to invest in Gujarat was taken for products that are produced at a single location, and are critical to quality,” revealed Marwah. Apart from producing the entire HVAC unit, the plant will also manufacture hoses and condensers. Akin to the infrastructure at the existing plants, the company is investing in modern machinery and precision testing equipment at Gujarat. The production lines according to Marwah will incorporate extensive in-line quality checks to ensure the best quality. Drawing attention to the pressure die casting plant at Noida, Marwah said that it is the only squeeze die casting plant in India, and produces high-quality intricate castings using squeeze and vacuum die casting. The technology at the plant is said to have been provided by Denso Corporation. 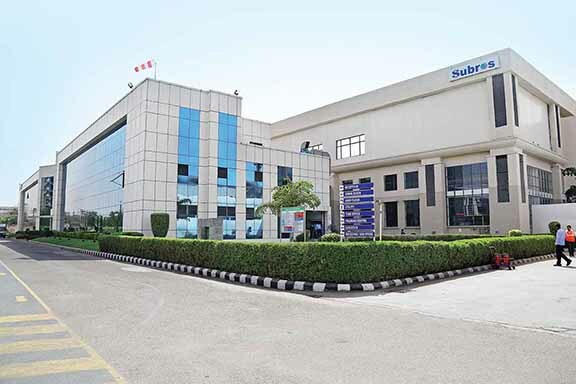 The Manesar plant of Subros contains a state-of-the-art manufacturing and testing facility. The plant manufactures compressor clutch assembly, condenser core, condenser assembly, hoses and tubes, HVAC assembly, injection moulded parts, and ECM. The AC systems for CVs are made at the Oragadam plant of the company. The Oragadam plant also caters to transport refrigeration and the aftermarket. The Chakan plant of Subros serves Tata Motors, and boasts of the latest in production equipment, and product design and development set-up. With an aim to get the CV business to contribute 25 per cent of the revenues over the long-term, Subros is enhancing its capabilities. It is paying close attention to the needs of its customers. Supplying world-class products, the company is engaging closely with its partner Denso to innovate. Mentioned Marwah, “We are charting out a growth story through the increase in the share of business not only from new customers but also from the existing ones.” Emphasising on local content, costs and innovation, Subros is banking on technologically advanced products at the lowest possible price points. 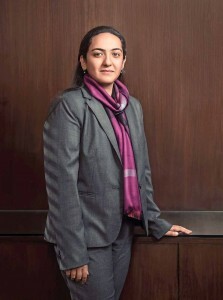 Shraddha Suri Marwah, Managing Director, Subros Ltd.
Q. Beginning with passenger cars and finding a firm footing in the commercial vehicle market, how do you look at the Subros journey? A. Subros Ltd. was established in 1985 as a joint venture between the Suri Group, Denso Corporation (Japan) and Suzuki Motor Corporation (Japan). It was the result of a brave decision of the chairman of Suri Group, Ramesh Suri. Over 95 per cent of the passenger vehicles sold were without an air-conditioner. It was the foresight of the promoters of the company that led to the establishment of Subros. Today, Subros has come to have a capacity to produce 1.5 million units. 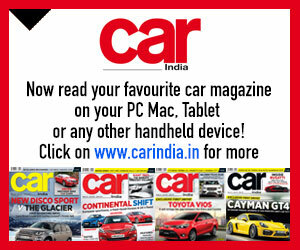 It is commanding a 40 per cent share of the Indian passenger vehicle market. We are keen to replicate the same success in the commercial vehicle space. Incidentally, we see the same trend in the commercial vehicle space that was seen in the passenger vehicle space in 1985. 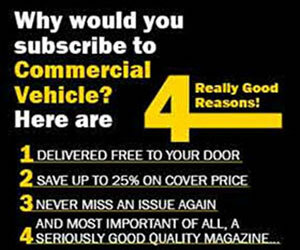 Over 95 per cent of the commercial vehicles sold is without an air-conditioner. It is because of the government notification (that driver cabins of CVs should have a blower starting January 01, 2018) that a pull in the direction of thermal systems is emerging. Since all the processes are same when it comes to CVs from a thermal engineering point of view we were able to smoothly expand into the CV space. Q. How are you driving Ramesh Suri’s vision? A. The belief of Ramesh Suri in the thermal product domain is commendable. It is this vision of his that is driving us. We are following him. His mantra, ‘Perfection is a never-ending journey’, we continue to follow at all the levels of business we conduct. We continue to invest in new technology and develop new products. We have retained the confidence of our customers, and are partnering them for their programme road-map. It is his vision that has led us to expand into new areas. Q. How do you look at the association with Denso Corporation and Suzuki Motor Corporation? A. Our association with Denso Corporation and Suzuki Motor Corporation is about seamless communication. We share a strong bond of trust and support. Denso, as a technology partner, has been a pillar of strength. It has and continues to help us to address the needs of our clients like Maruti Suzuki. In 2012, we formed a joint venture, Denso Subros Engineering Center, to focus on application design and new technologies. Q. How much are CVs contributing in revenue terms? A. Passenger vehicles are currently contributing 85 to 90 per cent of the revenue. The remaining is contributed by CVs. We are focusing on CVs in a big way as we feel that this business will grow at a faster pace. We have a clear plan to have the CV business contribute 75 per cent revenue in the future and the remaining 25 per cent from passenger vehicles. We see demand emerging out of state transport organisations as they expand their AC bus fleet. The government notification for the fitting of a blower is also creating a pull. Infrastructure improvement, we are confident, will increase the demand for air-conditioned CVs. We see demand coming from government’s focus on air-conditioning locomotive driver cabins and local rail rakes too. Q. What rate of growth in CVs are you looking at? A.Though at a nascent stage, we see the CV thermal market growing at a fast pace in the near future. Q. Isn’t the cyclical nature of CV market in India a challenge? A. 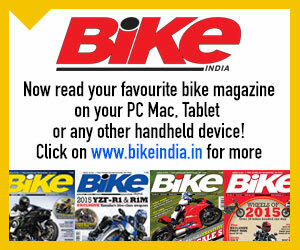 The cyclic nature of CV market in India is not different from the global markets. Market demand for better and faster transportation is facilitating growth. Government support and regulations have been a positive growth driver as well. We don’t see a challenge, therefore. Q. How do you look at bus market growth? A. Public transport will play a key role in decongesting the cities. Improving living standards and growing aspirations are driving the demand for AC buses. The market in per centage terms may not be significant today, in the near future we are confident of it growing to 30 per cent of the total market size. Rise in road infrastructure will lead to AC bus demand. We see a strong opportunity in that space. Q. How big is the market for tractors, construction and earthmoving equipment? A. Concerns about health and safety are creating demand for air-conditioned operator cabins in tractors, construction and earthmoving equipment. Companies focusing on employee health are noticing that AC cabins are improving driver efficiency. Demand for AC is thus growing. It is growing especially in tractors and backhoe loaders. Enhanced productivity due to AC cabins is leading to a better return on investment. Q. How is business faring in case of transport refrigeration solutions? A. Land routes account for the largest market share in global transport refrigeration units market. Climate controlled transportation is influenced by trade patterns and transportation costs. Driving growth in this market is globalisation of food trade. Growth in Asia-Pacific is high. In India it is led by the development of food retailing infrastructure, changing food consumption patterns (growing preference for frozen and chilled food), growing population, rapid urbanisation, and stringent government regulations. Providing large scope for expansion, improvement in crop realisation will lead to a rise in demand for cold chain logistics. We are ready. We are in fact providing turnkey solutions for both cabin and AC fitment to OEMs, and to other markets. Q. Do you expect the truck segment to be a growth driver? A. As of now, a ventilation system is mandatory. AC is optional. We, as a pioneer in the thermal field, have secured a 70 per cent market share. Our product lines are ready, and we have begun supply in the last quarter. This market is large and will be a key driver in the long run. Q. How is GST influencing the CV side of your business? A. There was not much change in the billing pattern. Prices reduced. The benefits we passed to the customers after GST was implemented has to lead to a positive impact. Q. What is your manufacturing infrastructure like? A. We have seven manufacturing units across India. We will commission a new plant in Gujarat in 2019. The location of our plants is dictated by the proximity to the OEM. We have also set up our own tool engineering centre that enables us to localize tools, moulds and dies. The centre not only meets the Subros requirements, it also acts as a commercial Tool Room. Q. What is the total capacity? A.With the commissioning of Gujarat plant, our capacity will go up by 0.5 million units from the current 1.5 million units. The capacity could be scaled up to one-million units from 0.5 million. The Gujarat facility will make products which are currently produced at a single location and are critical to quality. Q. Which OEMS do you cater to? A. Other than Maruti Suzuki we cater to Tata Motors, Mahindra & Mahindra, Renault Nissan, SML Isuzu, Force Motors, and Daimler India Commercial Vehicles. We also cater to Indian Railways, Medha and Bombardier. Q. How are you helping your clients meet the regulatory requirements? A. We are committed to environment protection. We offer eco- friendly products. Our priority is to provide high-efficiency air-conditioning systems that emit less and help achieve higher fuel economy. Our products ensure maintenance of discharge air temperatures at idle and during stops in mild hybrid vehicles especially. We offer ECMs that meet CO2 and NOx emissions regulations. Q. What are the focus areas in R&D? 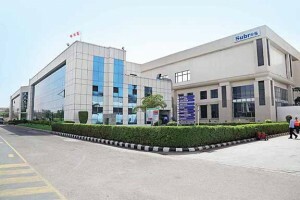 The Subros Technical Centre (STC) at Noida develops new products. 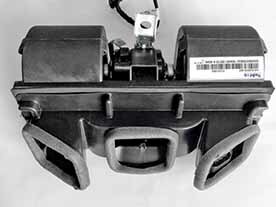 It develops new products for model launches with assistance from Denso. Denso Subros Thermal Engineering Services takes care of the application and allied services. Our focus is on enhancing technologies to meet the future requirements of customers. Our emphasis is on local manufacture with global specifications. The roadmap for future technologies the Indian market will demand is in place. We are working closely with our partners to enhance our technological prowess, and to fully support customer vehicle programmes. Our state-of-the-art testing facilities are enabling us to evaluate all aspects of vehicle thermal system management. It is helping us to be a reliable partner for component and system validation. Q. Is the forging division captive to Subros or serves customers outside? A. The Forging division of Subros is equipped with pressure die casting and squeeze die casting technology. These technologies are required for compressor shells and castings. Majority of the output of the forging division is captive. There are other products, which the division manufactures for OEMs. Q. How do you look at the competition? A. To be a market leader is a tough task. We have always believed that competition is good for health. It has led us to challenge ourselves; to improve on all fronts. Q. With an estimated market cap of Rs.26.64 billion, what are the opportunities and challenges that you foresee? A. We are anticipating continued growth in the auto sector due to stable global economic factors, emphasis on the local manufacture, and infrastructure growth. 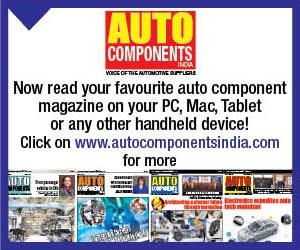 We are catering to the needs of existing and new automakers in India. The commissioning of Gujarat plant will help us in doing so. Due to increase in the share of business from existing customers, and because of expanding into new business domains like bus and rail air-conditioning, truck refrigeration, and radiators, we are anticipating strong growth. We see growth in the promotion of eco-friendly automobiles in India. We have made extensive localisation plans for key components with an objective to provide products that employ the latest technology at low cost. This, we are confident, will help us to sustain growth, profitably, and minimise the impact of fluctuation in economic indicators.